How do I identify the graphics card model and device ID in my PC? 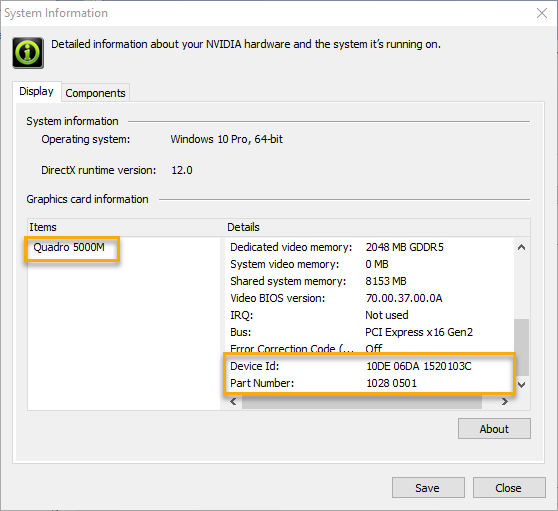 If your PC features an NVIDIA based graphics card and is using an NVIDIA display driver, you can identify the model of the GPU (Graphics Processing Unit) in your graphics card by accessing the NVIDIA System Information section of the NVIDIA Control Panel. 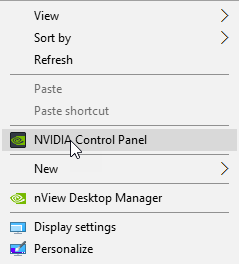 1) With your mouse, right-click the Windows desktop and select NVIDIA Control Panel as shown in the image below. This will launch the NVIDIA Control Panel. 2) From within the NVIDIA Control Panel, left-click the System Information link on the bottom left hand corner. This will bring up the System Information panel. Please Note: If your graphics card is inside of your PC but no drivers are installed or the drivers are not functioning correctly, you may not be able to access the NVIDIA Control Panel.